Queensland Sheet Metal is a leading manufacturer of Gable Rolls, with options in a variety of sizes and finishes in order to fulfil any roofing needs. Gable Rolls are used to finish the end of a roof sheet, blending seamlessly when the sheet is flush against a wall. They allow for a neat rollover without the worry of buckling. Gable Roll comes in 25 mm, 38mm or 50mm size, as well as lengths including 1.8 metres and 2.4 metres. Our Gable Roll is available in Colorbond® Steel, Zincalume®, and Galvanised. 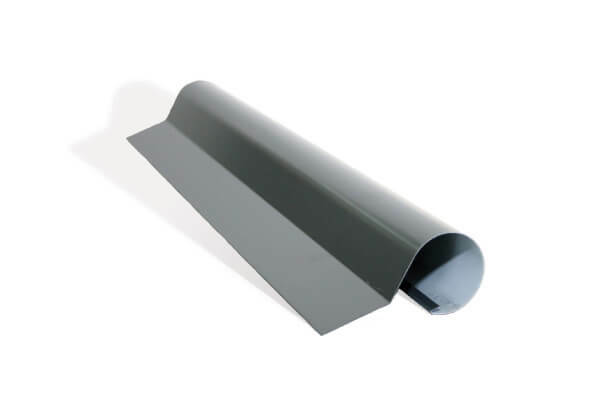 The Queensland Sheet Metal range of Gable Rolls comes in a truly vast range of colours for all types of roofing. Choose from our fabulous range of the latest modern and traditional Australian colours. Consider roofing options like colour trim and contrast. Need to know more, or have questions about Gable Rolls or our other roofing accessories? Call Queensland Sheet Metal for all the friendly, practical help and advice you need. To contact us, call us on 07 3267 1010, email us, or simply drop in to our showroom in Brisbane. If you’re ready to order, you can place your order online using the link on this page.